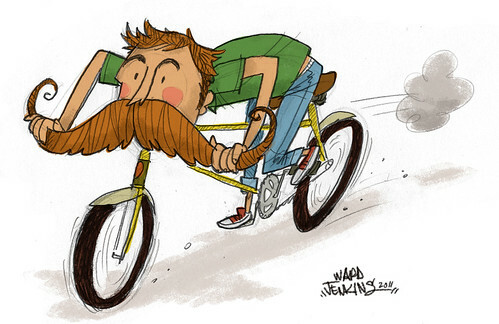 To understand just why I would draw such a character, go to Seven Impossible Things and read up on the Drawing Duel illustrator Dan Santat and I participated in. If you create some snappy captions, there's a chance that you'll win copies of our books, signed even! And Tami Sauer's newest, as well! Yup. It happened. 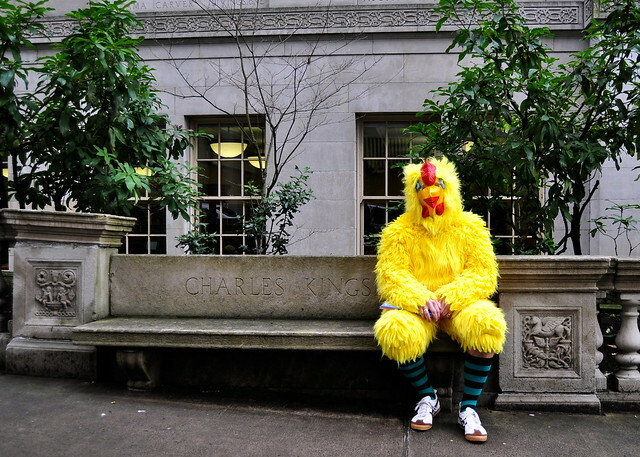 The chicken suit was acquired and promptly donned on a beautifully grey day in Portland this week. 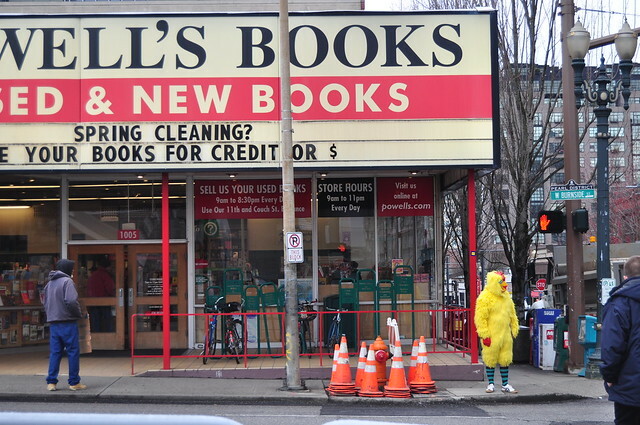 Portlanders, in case you're wondering who that was dressed up as a bright yellow chicken walking across the Burnside bridge or crossing the road (har!) in front of Powell's, or having a Maple Bacon doughnut at Voodoo Donuts, it was me. I'm an illustrator. 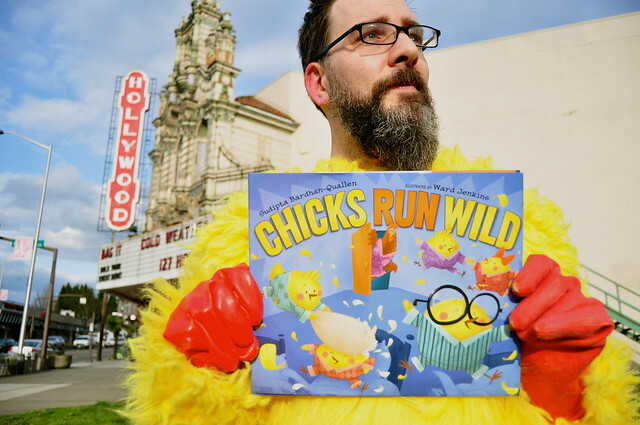 I drew a children's book titled "Chicks Run Wild," hence the chicken reference. 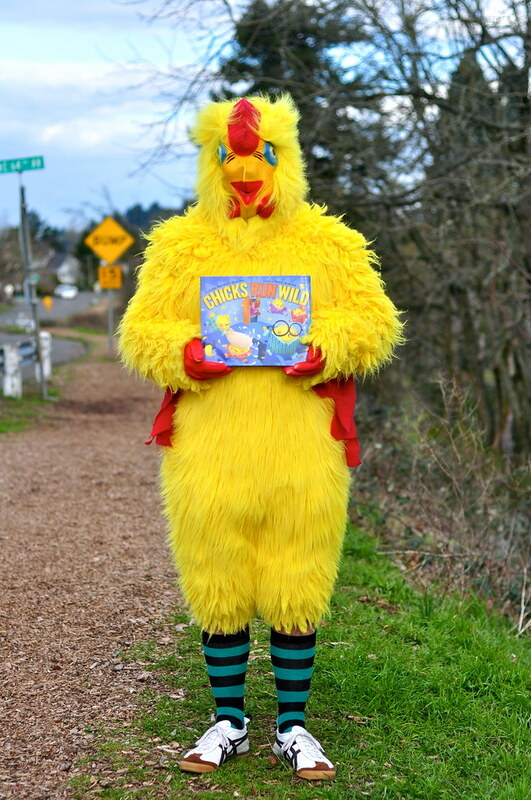 This silly stunt was part of a crazy promotion to get people to know about the book, written by Sudipta Bardhan-Quallen. I have to say, it was a lot of fun. Honestly, I probably would've worn the darn suit even if we didn't get 300 fans or friends on Facebook. But I'm happy to see that we exceeded our goal—a full week before the deadline! That's awesome. 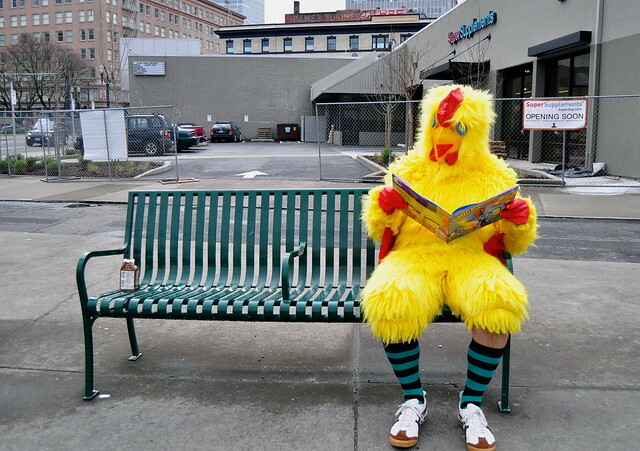 Why did I cross the road? 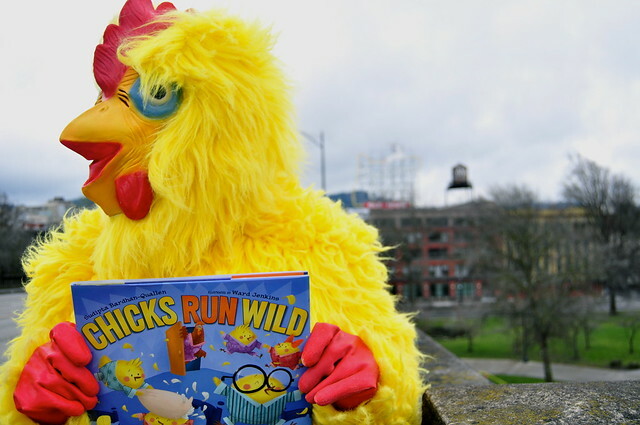 To read Chicks Run Wild, of course. 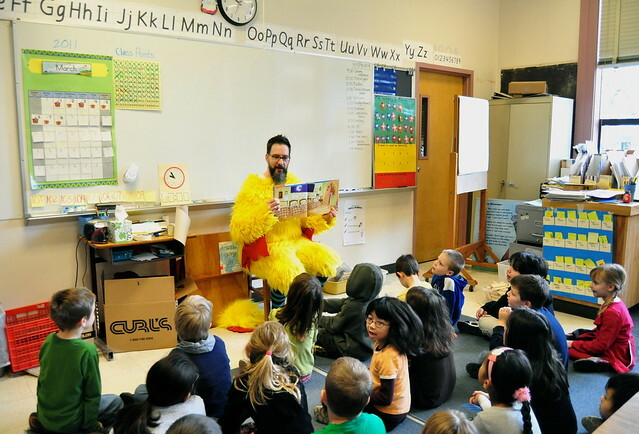 Chicken admirers. Sadly, I wasn't Bieber. It's hard work, this shameless promotion-thing. 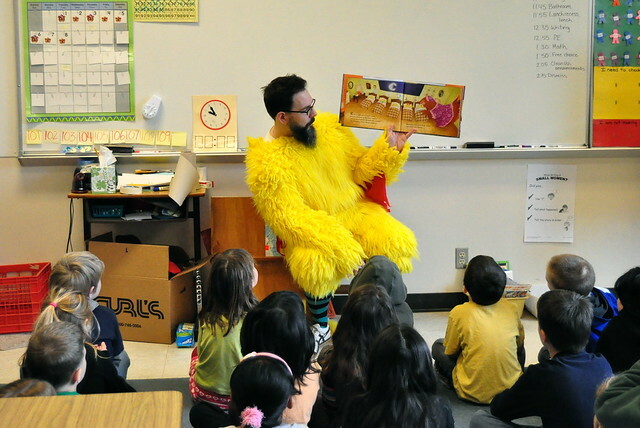 This is my favorite part of the whole book-drawin' experience: reading the book to the kiddos. 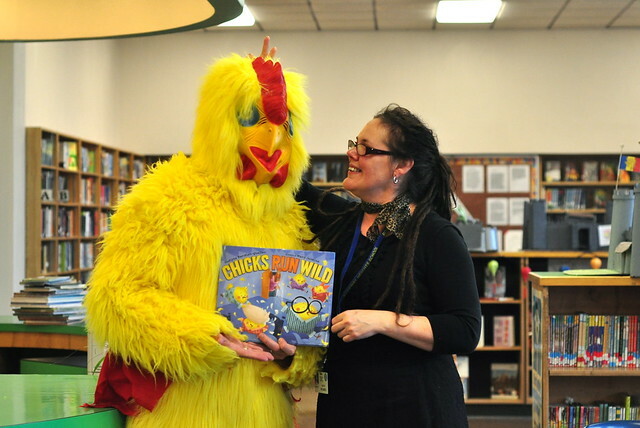 I paid a visit to the library to sneak a copy of the book in the bookshelves. 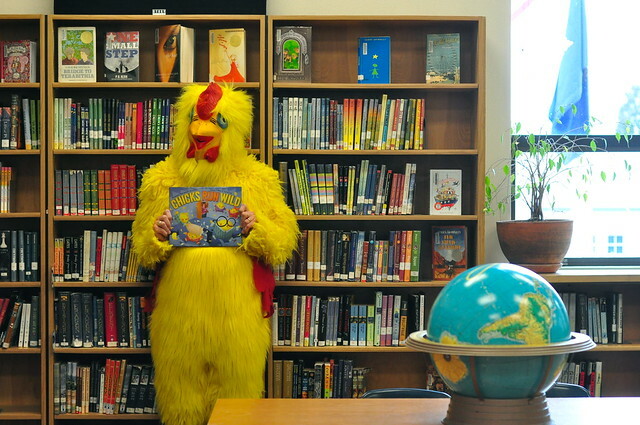 The librarian totally caught me! 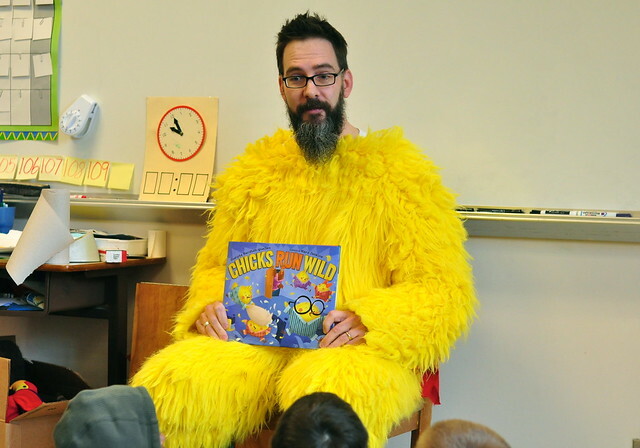 The Chicken Suit on Facebook. 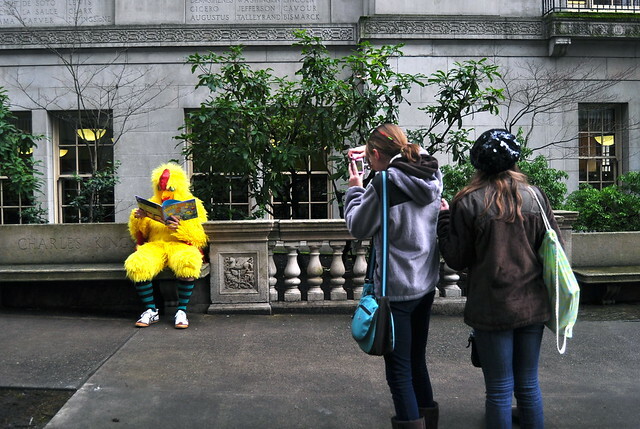 Chicks Run Wild on Flickr. Now you know, I'm a man of my word.